When talking of shopping in Newcastle, one cannot but start with Fenwicks. 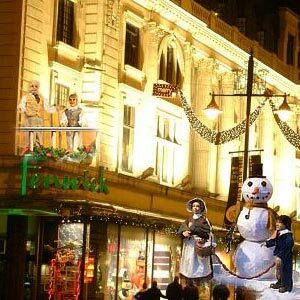 Fenwicks Newcastle has been around since 1882 and is a premier independent department store group in the UK. What started as a store in Newcastle has expanded to a chain of stores over the UK. The Fenwicks outlet in London is located on New Bond Street - a fashionable address. The merchandise at Fenwicks is affordable and fashionable, a combination that is hard to beat! The Fenwicks Store at Newcastle is located at Northumberland Street and is home to one of the biggest cosmetic halls in the country. There are sections on fashion apparel and accessories, furniture and furnishings as well as children's toys and clothes.